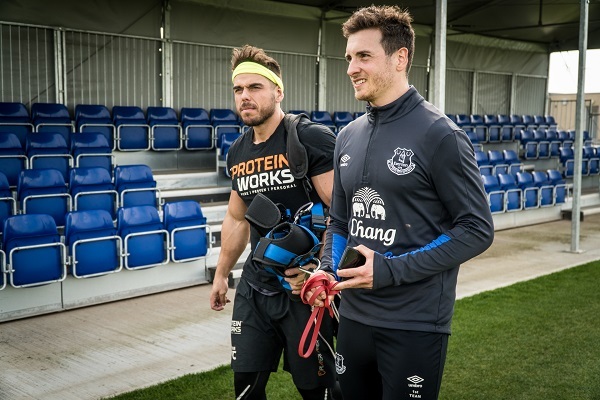 For over 3 years we at THE PROTEIN WORKS™ have proudly been the bespoke nutrition partner for Everton Football Club. 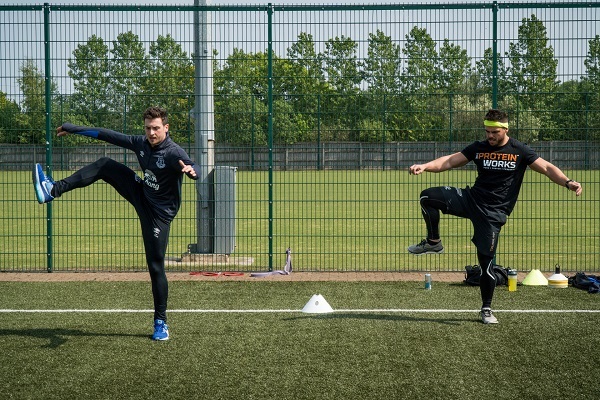 Working closely with the nutritional and strength and conditioning genius that resides within Finch Farm (more commonly known as the “School of Science”), together we have pushed the boundaries of food, fitness and football further than many thought possible. Famously creating the first ever custom-made recovery shake, we don’t just live and breath our passion… we eat it! 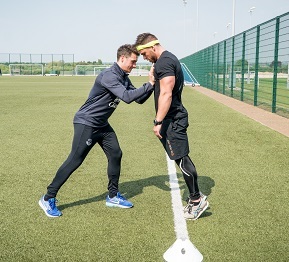 Which is why we sent our resident guru Ross Edgley to train with the Head of Strength & Conditioning Matt Taberner to uncover the secrets kept under lock and key at their training ground in a series we’re calling, “Get Fit Like a Footballer”. In the world of football and fitness there are few people more widely respected than Matt Taberner. 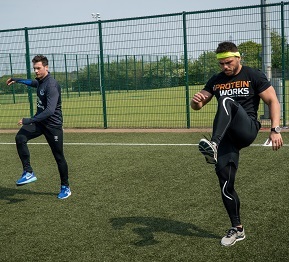 Joining Everton Football Club in September 2013 as the Under-21s' Head of Strength and Conditioning he was very quickly promoted to the role of First-Team Sports Scientist in June 2014 and had previously spent 6 years at Aston Villa as Lead Academy Sports Scientist. Today his role involves sports science delivery to the first-team squad including the provision of fitness and strength and conditioning programmes, overseeing training load management including GPS monitoring and readiness to train, as well as end-stage rehabilitation. 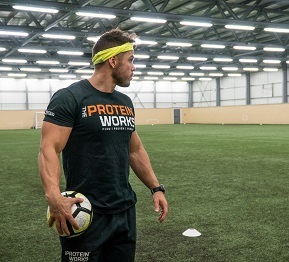 Matt holds a BSc in Sports Science, an MSc in Sports Nutrition, a NSCA-CSCS qualification, British Weightlifting accreditation and the FA Fitness Trainers Award and has played a key role in pioneering nutrition and sports supplementation at Finch Farm with us at THE PROTEIN WORKS™. So how do you get fit like a footballer? 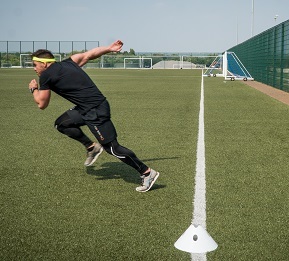 The exact answer needs exploring and explaining since football requires so many different facets of fitness from strength, speed and stamina. Which is why we asked Matt to detail the TPW™ products that can help in all these areas and then we subdivided them by: Endurance, Speed, Strength & Power and Mobility & Recovery below. But as we always say at TPW™ Towers food and fitness are synonymous and you can’t alter one without impacting the other. Which is why as well as talking through the possible supplement support, we have also detailed the strength and conditioning tips and tricks that work in harmony with the nutritional knowledge bombs that Matt drops in his videos. Finishing the session sore but successful, Ross details how the right food choices and understanding nutrition-based nutrition principles can help you run long into 90 minutes and beyond or how wielding the power of creatine and pre-workout formulas can make you a stronger, faster and more powerful of your current self. So whether you’re a Sunday league star, semi professional or you’re still awaiting the call up for your first Premier League appearance, grab a shake and have a read before you lace up your boots for your next match.